Intersection of NW Colorado Ave. & NW Bond St. Looking south along Bond St. Looking west along NW Colorado Ave. Looking north along NW Bond St. Looking west along NW Industrial Way. Looking west from the intersection of NW Industrial Way & NW Bond St. The intersection of NW Industrial Way & NW Bond St. Interior parking entrance along NW Bond St. Entering the interior parking court from NW Bond St. Looking north from the intersection of NW Industrial Way & NW Wall St. Looking east along NW Industrial Way. NW Industrial Way façade with summer flowers. Looking northwest along NW Bond Way. Initially designed while employed at Thomas Deatherage Architect, A.I.A. [in collaboration with 4240 Architecture]. The later phases of the project - including construction documentation and administration - were performed by hsr master planning architecture interiors (Phase I construction) and hsr master planning architecture interiors and GGL Architecture (Phases II & III construction). 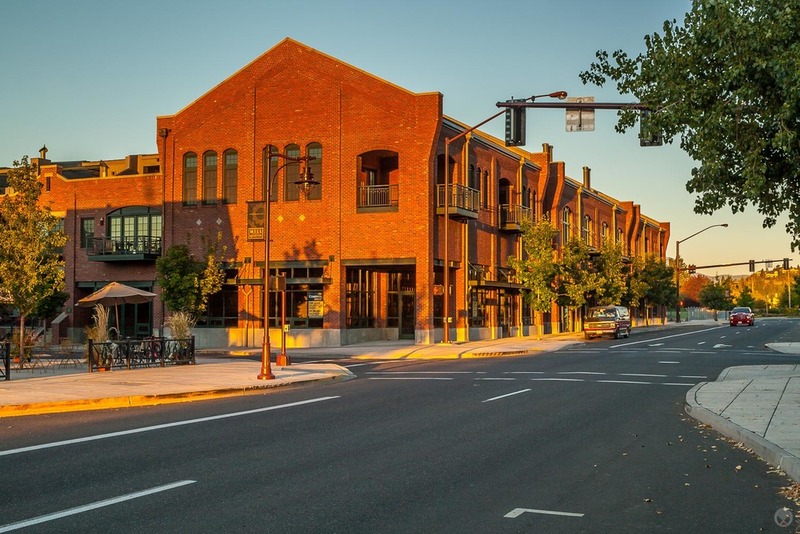 Mill Quarter is a full-block, mixed-use project that was conceived to reflect the historic architecture of Bend’s Old Mill District. 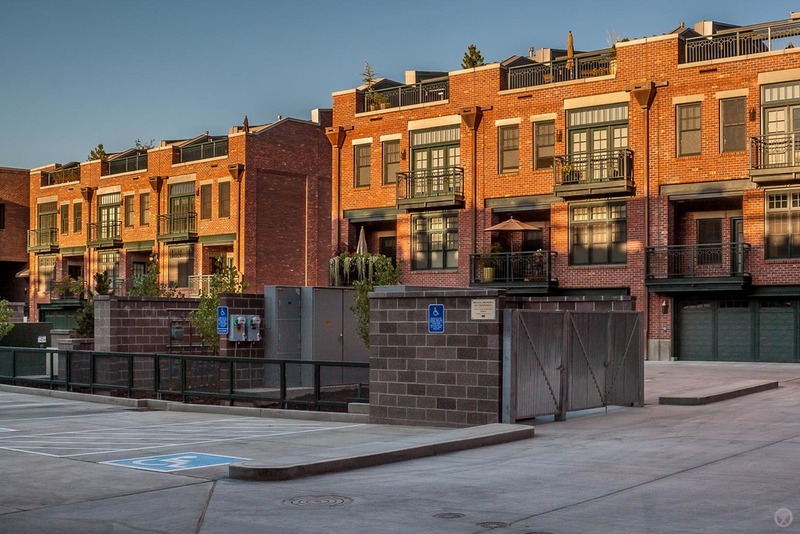 It is ideally located roughly midway between downtown Bend and The Shops At The Old Mill. 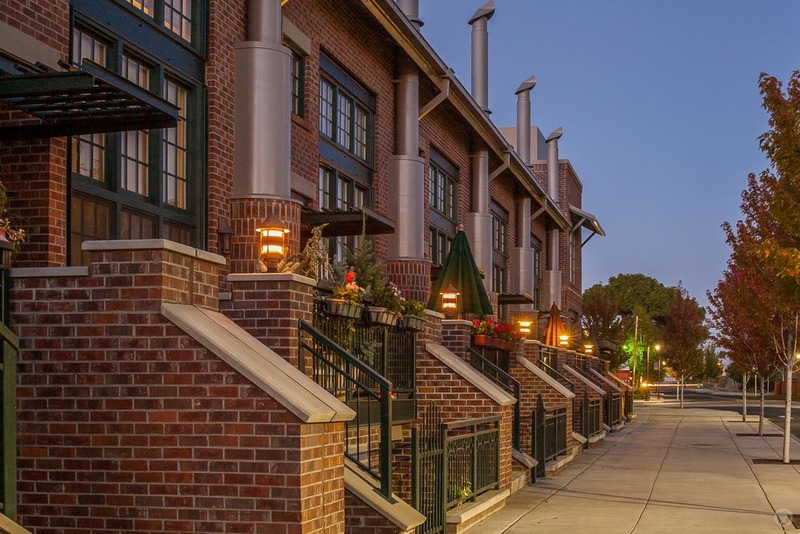 In addition to street level retail, several different townhome types are incorporated into the design. Many have Cascade mountain views and most offer a live/work arrangement. Parking is contained within the core of the block (behind the buildings). 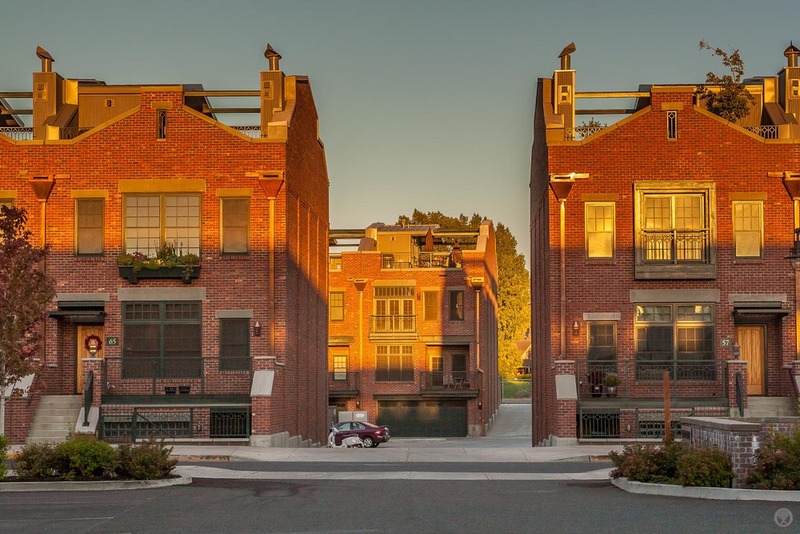 Additionally, each residential unit has its own double car garage. The entire project is built with exterior brick veneer concealing high-performance insulated concrete form (I.C.F.) construction. 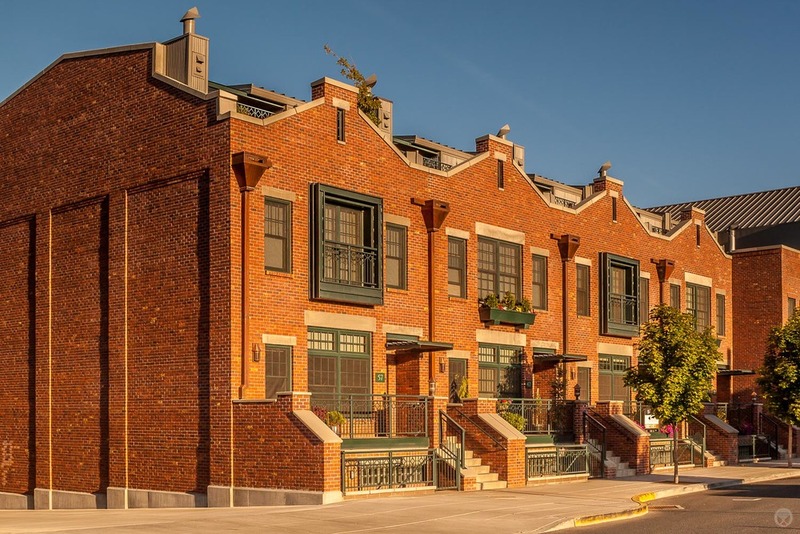 The Denver office of 4240 Architecture was the design lead on this project, with Thomas Deatherage Architect serving as local representation. 16 SW Wall St. | 36 SW Wall St. | 47 SW Bond St. Client: Mill Quarter Properties, Inc.